I knew this wasn’t the usual message about unity in the body of Christ. It was specific to the person and work of Holy Spirit. It is one thing to surrender to the Spirit in order to be united with others, but it is quite another to be of the SAME MIND and SAME SPIRIT. To be truly “one in” the Spirit, is to mutually know the person and work of that same Spirit. At this critical time in our nation’s history, the Lord is calling us to a higher standard of unity than what we’ve had before – a oneness that can only come from personally knowing Holy Spirit. I believe Patricia King was used in my dream because of what she represents. She is widely regarded as a spiritual mother in the prophetic. She is also one who has taught on the supernatural realm and the kingdom realities of the spirit. It is from this vantage point that the Lord wants to call us higher into, not just “unity”, but true oneness. He is calling us to come up higher in the Spirit in order to understand kingdom ruling and reigning for the days to come. There is a place where we not only understand and perceive, but KNOW the Spirit’s ways because we have developed a relationship with Him. 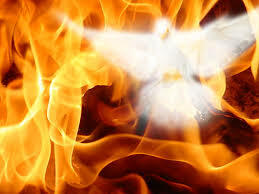 The Holy Spirit is about to be poured out upon the earth in unprecedented ways. This whole election cycle has been a trial run for knowing how to rightly discern the workings of the Holy Spirit. The manifestation of the political and religious spirit has caused divisions and fractions causing many to question what they believe and why. The Lord is using this to sharpen our spiritual senses and draw us to a deeper place of discernment. His purpose is that we might be fully united, not only in Truth, but in Spirit. We must be ready to properly recognize Holy Spirit because He will not act or move the way we may think. Even Jesus was criticized and accused of having a demon because the religious people were stuck in old wine skins (John 8:48-49)! It is ONLY by the Spirit of Christ that we will be able to partner with heaven and move forward as a truly united body and bride of Christ. As much as we need to move through this national upheaval armed with truth and a love-motivated boldness in our witness, we will not experience the fullness of unity until we come to personally recognize and know Holy Spirit – individually and corporately. Let’s pray that our hearts are fully surrendered and yielded, ready to recognize Him and follow Him no matter what. I believe when we are truly united in this way, NOTHING shall be impossible for us and God will get all the glory. Thank you for the link to the message. I listened and found the entire library of YouTube messages. Are you Sam Soleyn or do you know him? I’ve already listened to several other messages – I just reposted (on my Facebook page) the one on The Rapture. So good. Sorry for the last incomplete response. We have been blessed by Sam’a teachings.Not met him buthave received muchconfirmedby the Holy Spirit. We have been graced with all four baptisms. Sam has aided us togain much understanding and insight and language ofthe journey. Have an outline imparted to us from another Apostle sent to us which fits almost perfectly inside of the majority of his teachings. If ever led to have a copy am happy to send.Many blessings to you and family.